The sun hung low on the horizon, waiting for us to run and cross the golden sand, waiting for us to be enveloped by the sea’s warm water, waiting for us to reach out and touch its shimmering rays across the sea’s surface. 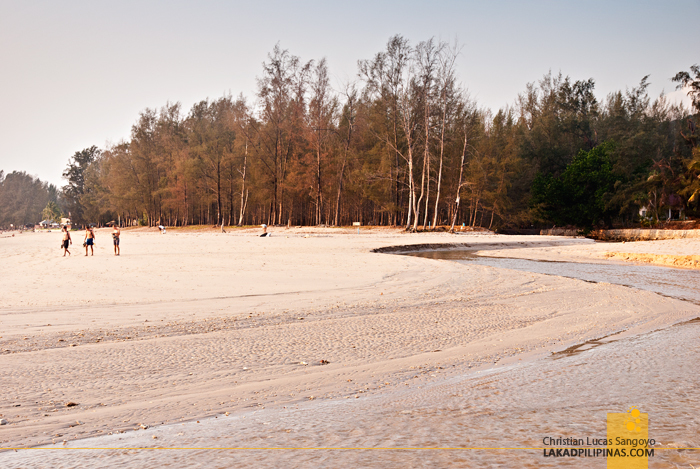 Day in and day out, our afternoons at the Long Beach in Koh Lanta seemed nostalgically magical. 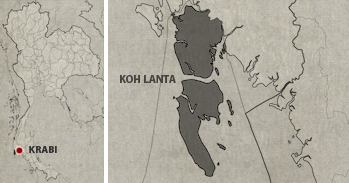 We visited Koh Lanta during its low season. The streets were almost devoid of tourists, the lodgings are empty, and so are the island’s beaches. 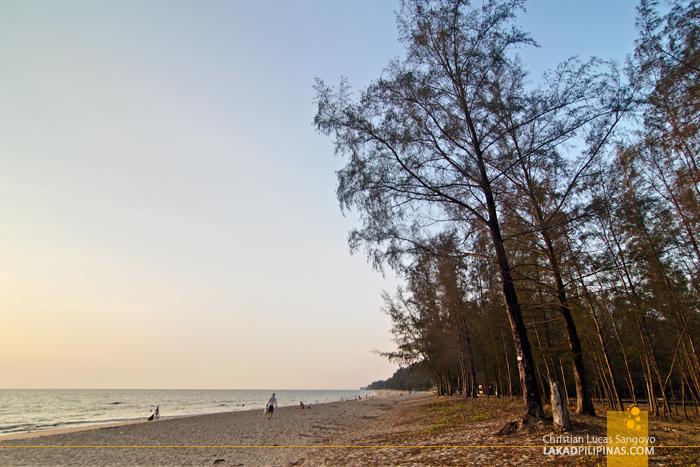 Phra Ae, or most commonly known as the Long Beach—one of the ten beaches in the island and undoubtedly its most popular—was almost deserted. 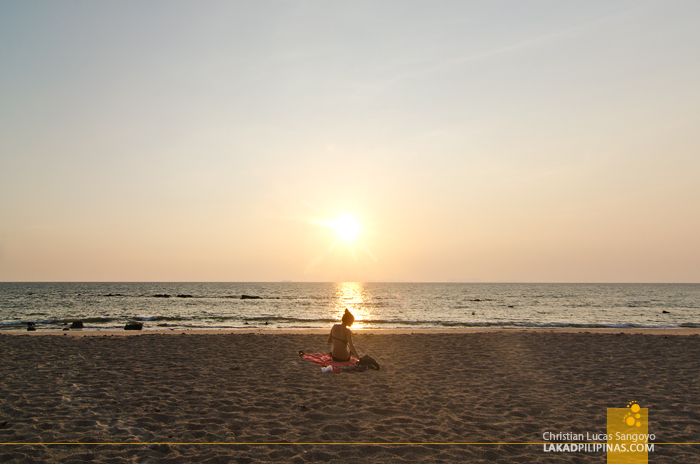 Staying at Soontreeya Lanta Resort, the beach is just a couple of minutes away by foot from our bungalow. 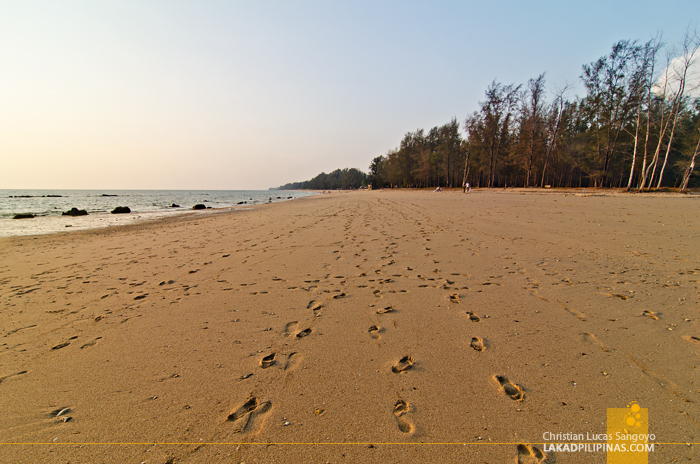 We often visit Long Beach in the afternoons, walking along the narrow dirt road which opens directly to the rocky southernmost portion of the beach. 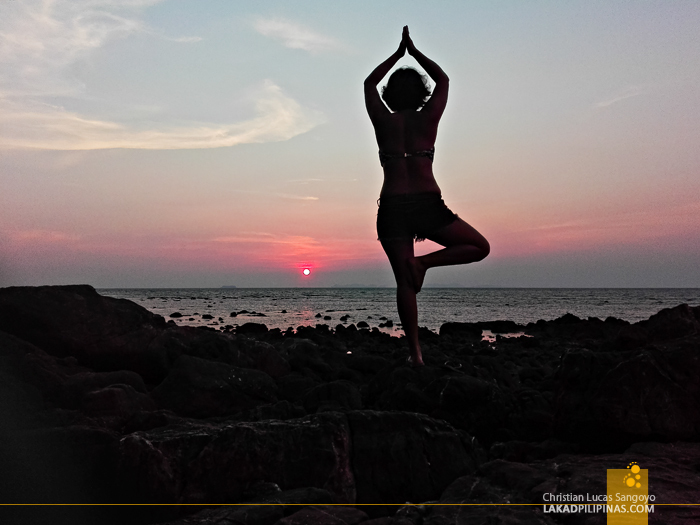 We’d fool around the rocky alien landscape, doing mock yoga poses before removing our slippers and letting our feet sink on the fine creamy sand beyond, savoring each and every step, following delicate footsteps embedded on the sand as we headed towards the central portion of the beach—crossing a shallow cold freshwater stream, passing numerous strands of pine trees along the way—their leaves as golden as the sand, never quite finishing the beach’s full five-kilometer stretch. 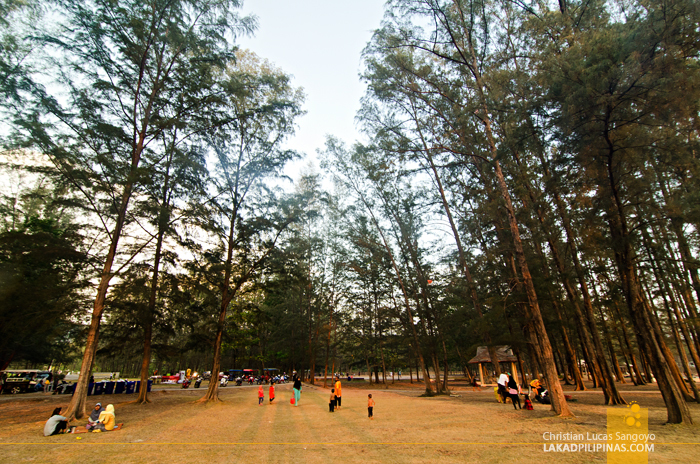 We’d ignore the tumble of the few native bars and restaurants lining the shore and head straight to the pine park in the middle of the beach’s crescent. There, we’d get ourselves a plate of noodles, a few sticks of meat balls and a bottle of soda and sit on concrete benches right where the park’s grass gives way to sand. 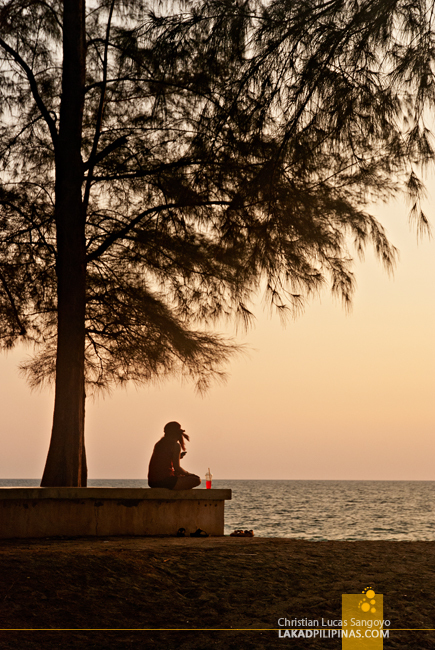 And with the locals, watch as another lazy day ends at Koh Lanta. Out on the sea, the sun watches, fiery, alone and sad, biding its farewell for the day, but knowing full well that he’d see us again on this same spot the next day.